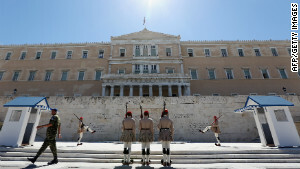 Athens, Greece (Financial Times) -- Planned cuts to Greece's public expenditure will be even deeper than previously announced, the government has said, as fears rise that the scale of the proposed reductions may test the ruling coalition's unity. "The net savings on the expenditure side will be equal to â¬11.6bn, but total spending cuts will be higher, to the tune of â¬13.5bn [or 6.8 per cent of gross domestic product]," a senior finance ministry official told the Financial Times. The government has identified measures leading to cuts totalling about â¬15bn, but it believes that some of them will not be acceptable to the "troika" of international lenders, the official added. Amid domestic political concerns, the government has spoken publicly about spending cuts of â¬11.6bn -- the net expenditure savings -- while total cuts will actually be higher to compensate for resulting estimated losses in tax revenue and increased social security contributions as a deeper-than-expected recession continues to ravage the country. The senior official said Greek primary budget expenditures would be the lowest in the eurozone as a percentage of GDP once all the planned cuts had been implemented. Are digital start-ups Greece's future? The savings aim to deliver a primary budget surplus of at least â¬3.6bn in 2013 and â¬9.5bn in 2014, from a planned deficit of no more than â¬2.06bn this year. The three-party coalition is expected to survive next month's announcement on cuts. 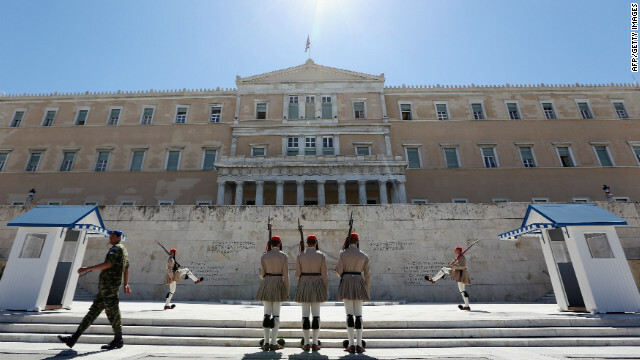 But its cohesion will be severely tested if Greece does not win an extension of its bailout programme by two years to 2016, say analysts, bankers and government officials. The government wants an extension to help ease the pain after estimated cumulative GDP losses of 20 per cent in the past five years and rising unemployment -- surpassing 23 per cent in May. "The economy will not be able to bear the burden of such huge spending cuts in 2013 and 2014. If there is no extension, economic activity will be depressed and it will be very difficult for any government to survive," said another government official. A senior Greek banker agreed with this assessment, pointing out that Greece had about 1.2m unemployed, with only 3.8m people at work. "We have to be reasonable," he said. "The model where 30-40,000 people swell the ranks of the unemployed every month because of tax hikes and wage and pension cuts, so that creditors are being repaid 100 per cent on the euro, cannot be sustained for long." Despite the criticism and anger, most pundits expect the government to pass the package of spending cuts next month in the 300-seat parliament, where it currently enjoys the support of 178 deputies. They say the alternative would be for the next loan tranche not to be disbursed, starving the economy and paving the way for an exit from the euro that no politician wants to be blamed for. 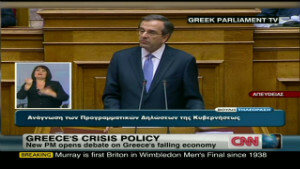 However, Antonis Samaras, prime minister, and some key ministers, such as Yannis Stournaras, the finance minister, understand they will first have to convince their EU partners about their commitment to the goals of the adjustment programme, given the country's poor record, before they officially request an extension. Some analysts think the coalition will not fall, even if the country is not finally granted an extension -- a politically sensitive issue in Germany and other countries at least as long as it requires additional funding through national parliaments. "The government will survive to the extent there is no constituency favouring an exit from the eurozone," said one analyst Takis Michas.